Don Roy just sent me your web site on the HMCS Prince Robert. 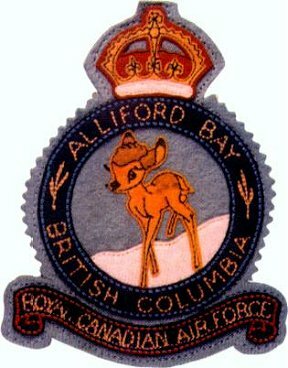 It's a small world Bill, believe it or not when I was stationed on the Queen Charlotte Islands during WW2 the Robert visited our base a couple of times. I went aboard once and was amazed at how they had armed her for wartime patrol duties. We invited some of the crew ashore and entertained them in our canteen. Fifty some years later, I can't remember the boys, but we must have had a good time. I remember our station baker made a big batch of bread for them to take aboard. I just looked at an old photo album I have here as I remember taking pictures of her. She was away out in the Bay (Alliford Bay) and I had a forbidden camera which I secreted in my kit bag. It was only a very small (about 3 in. square) but I snapped about three pictures of the Robert. I just looked at them now and thought you might be interested. You almost need a magnifying glass to see her.The Capt, and officers were entertained in the officers mess I remember. Unfortunately, I can't remember the exact date I took these, but I was at Alliford from July 1940 to about April 1941, and again in 1942, so these pictures could have been taken in that period.